"Before I started my Year of Firsts, I was stuck ... But, as I discovered during the year, it's the smallest changes that eventually change everything: They got me "unstuck". They brought the life back into my life. And they also made me realize something incredibly important: Firsts don't have to be big, dramatic, and risky to recharge and reinvent your life. By just trying small things, you begin to see the world around you with fresh, child's eyes ... Firsts are the antidote for being stuck." 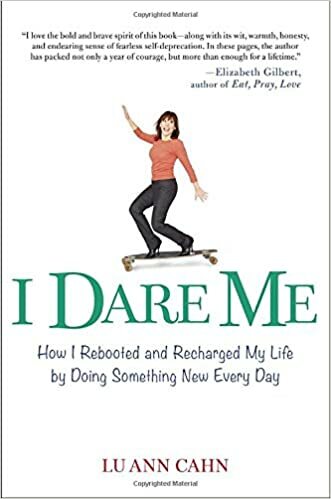 In I Dare Me, Lu Ann Cahn chronicles her year of trying one new thing every single day; and she does it in a way that's joyful, entertaining, and inspiring. By the end of the book, I wanted to make a list of Firsts and try a bunch of new things, too. Maybe not an entire year of them, but still... Cahn's Firsts ranged from participating in a Polar Bear Plunge, eating Ethiopian food, climbing a tree, teaching a class, riding a mechanical bull, and baking a cake. She tried exciting things, scary things, easy, fun things, and things that challenged her and helped her to grow. And it changed her life. I loved her humor, and her tips and advice on new things to try, and all the wonderful quotes she includes throughout this book. It's a great weekend read! "My hope is I Dare Me dares you! I want you to look at your world with new eyes, to make your own list of Firsts, to stop waiting for someone to rescue you from whatever you can't control and to rescue yourself with something new every day. That's how your life starts to change, one First at a time ... My world opened up and is still evolving today as a result of my Year of Firsts. It's my greatest hope that you find a similar spark somewhere in these pages, something that lights a fire under you to make this not just a life, but your best life. I dare you." 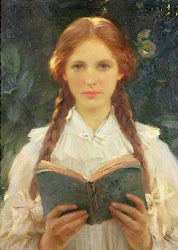 This reading challenge, hosted by The Emerald City Book Review, has several different challenge levels, from reading just one book to reading twelve. I chose to do the Six State Challenge because I thought reading a book set in each of the six New England states sounded like fun, and because I thought I could successfully complete it. And I did! 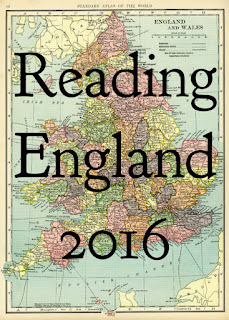 I had a lot of fun completing this reading challenge. 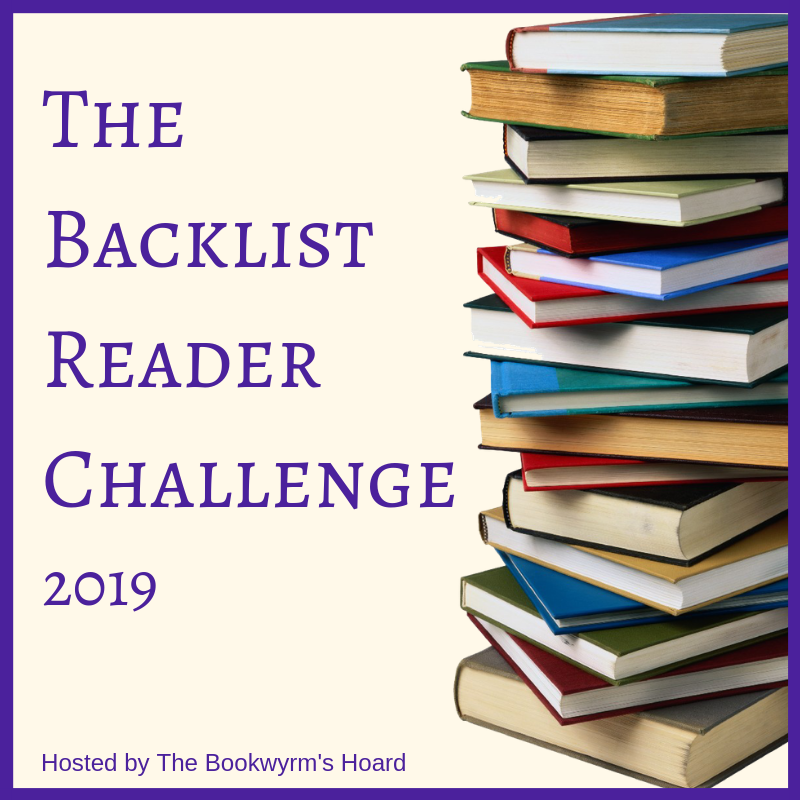 And I added several other New England books to my TBR list like Olive Kitteridge, The Secret History, Folly, It and The Boston Girl, which means I just might do this reading challenge again next year all on my own. 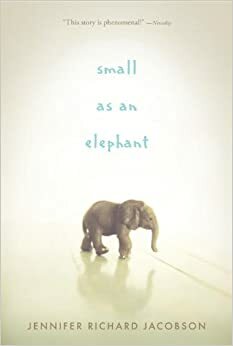 Of the books I read this year, my two favorite were Small as an Elephant and A Gilded Grave. But I'm glad to have read all six. 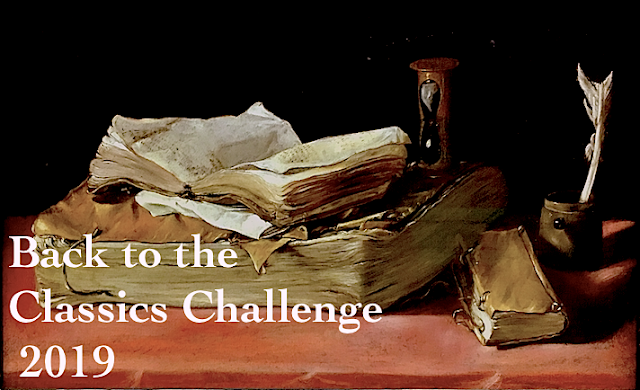 So thank you, Lory, for hosting this great reading challenge! "There are some women, Philip, good women very possibly, who through no fault of their own impel disaster. Whatever they touch somehow turns to tragedy." Orphaned at a young age, Philip Ashley is raised by his older cousin, Ambrose, who becomes both father and older brother, mentor and friend to him. Heir to Ambrose's estate in Cornwall, Philip doesn't expect anything to ever change between them. But then, while wintering alone in Florence, Ambrose meets a distant cousin. Rachel is young, beautiful and widowed. And Ambrose, a confirmed bachelor his entire life, unexpectedly decides to marry her. Back home in Cornwall, Philip is surprised. And a little jealous. Though he's never met her, he instinctively doesn't like her. And when Ambrose dies in Florence only a year later, Philip's mistrust of Rachel grows. Did she have something to do with Ambrose's death? Then Rachel comes to Cornwall. And when Philip finally meets her face to face, everything changes. Because she's not what he expected; she's intelligent and perceptive and alluring and unlike any other woman he's ever known. And Philip finds himself enchanted by her. But is she what she seems to be? Can Philip really trust her, or is there more to Rachel and her past than she's telling? As the mystery of Rachel slowly unfolds, Philip begins to question her motives and her past and everything he thought he knew about her. "... every day, haunted still by doubt, I ask myself a question which I cannot answer. Was Rachel innocent or guilty?" I really liked this book. And I love the way Daphne du Maurier writes: her descriptions, her complicated characters, and the way she keeps her readers off-balance and guessing right up to the very end. In My Cousin Rachel, Philip and Rachel are a study of contrasts: he's young and earnest and inexperienced, especially where women are concerned, while Rachel's past has made her older than her years and much more worldly and calculating. They view life from opposite ends of the spectrum. But Rachel can also be charming and kind and seems to care for Philip. He looks just like Ambrose, after all. But is it real, or all just an act to get at his money? Du Maurier drops hints and clues, throws in a few contradictions, and leaves Rachel a mystery. A beautifully complicated mystery. A week after finishing this book, I'm still thinking about it. And about young Philip Ashley. And, of course, about Rachel. I love books that linger like this one has. Even with its sad ending. What was especially fun about reading this book was reading it with Bettina. She's a fan of Daphne du Maurier, too. So be sure to check out her blog, and her review of My Cousin Rachel. It's a good one! "Alice was a magician, albeit one who did not know very much about her own magic. She was escaping a City that hated and feared Magicians... (she) was tall and blue-eyed and a little broken inside, but her companion didn't mind because his insides were more jumbled than hers could ever be. Hatcher was a murderer, and he knew quite a lot about it. He was tall and grey-eyed and mad and dangerous but he loved her too, and so they stayed together, both stumbling toward a future that would let them leave their past in the past." Alice's adventures continue in this well-written sequel by Christina Henry. She and Hatcher have escaped the Old City and are heading East in search of Hatcher's daughter, Jenny, who was stolen away years ago. 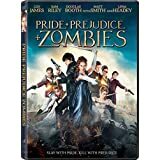 Their journey takes them across burned plains, through a forest filled with giants, and straight into the middle of a feud between the White Queen and the Black King. There are enchantments to unravel and stolen children to recover. Then Hatcher falls under the spell of the White Queen and Alice finds herself alone. All alone. "Alice had a scream lodged in her throat, and if she gave vent to it she would never stop. So she didn't scream or weep or tear her hair or pound her fists until they were bloody, though she wanted to do all those things. Instead she grabbed on to one thought and wouldn't let it go--every spell can be undone. She had to believe this, though she had no evidence of its truth. She had to believe that she could get Hatcher back." 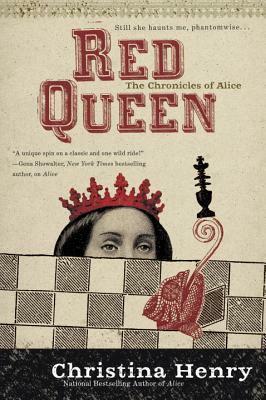 Red Queen is not as dark or macabre as Henry's first novel, Alice, but it's still a slightly twisted walk through an enchanted wonderland that Lewis Carroll could never have imagined. What I liked best about it is how Alice comes into her own. 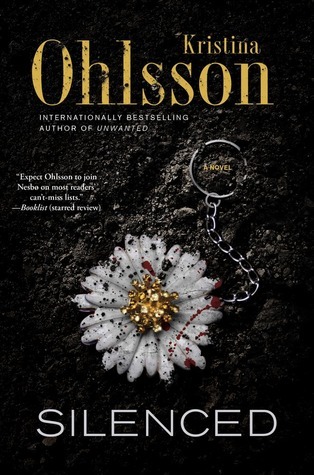 In the first book she really depends on Hatcher just to survive, but in this book, without him by her side, she is forced to grow up and find her own way forward. She also discovers her own magical powers, and her essential Alice-ness. It's a fun read. And I have to say, Christina Henry is now one of my favorite authors. I enjoyed listening to stories about faraway places so much that it became a kind of sickness. (It's a Murakami; what more do I need to say?" The blind ghost returned in the spring, and with her more nightmares. Cedar had stared straight into the killing eyes of rabid wolves, hungry bears, and charging bull elk, but Mrs. Horace Small had them all topped. The first thing that happens is I unseal an envelope and Dad's death falls out onto the breakfast table. I had just come to accept that my life would be ordinary when extraordinary things began to happen. "Swapping propriety for adventure, Herringford and Watts are more preoccupied in their current investigations than in securing husbands, a fact that may make you working ladies, bachelor girls, and shoppies stand up and salute." Jemima Watts plays Watson to Merinda Herringford's Holmes in this nominal mystery set in Toronto in 1910. These two unconventional "bachelor girls" have set up their own detective agency and are determined to solve the murder of two working class Irish girls because the police aren't... or won't. I liked Jem immediately, but Merinda was a bit too self-absorbed and too caught up in her own schemes for me to like her very much. And she's the one who gets Jemima into a myriad of scrapes and embarrassing situations. My favorite character is Italian-born Ray DeLuca, a reporter who is also investigating the murders. 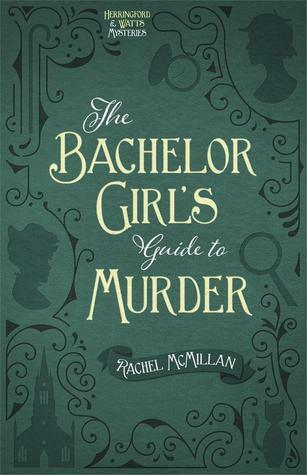 The relationship that develops between him and Jem is the best part of The Bachelor Girl's Guide to Murder, along with the many humorous interactions between the characters. The quotes at the beginning of each chapter are clever and fun, which is good, because the mystery is just so-so. I'm really glad I only borrowed this Rachel McMillan mystery from the library and that I didn't buy it, because it ended up being just an okay read. "As a young girl, I had no concept of being attractive. When I looked in the mirror, I saw only a girl who had a few friends, a strict grandfather...a mother who seemed sad most of the time, and a father I had never known. It wasn't until I was thirteen that I began to notice that I looked a little different compared to other girls my age." I pulled this book off my TBR shelf. In short, Tanaya Shah is young, beautiful, and Muslim. 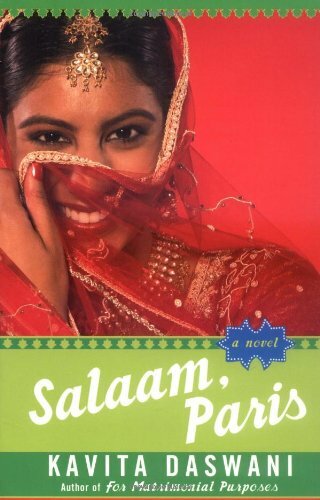 On the promise of an arranged marriage, she leaves Mumbai for Paris, but instead of marrying, she ends up alone in Paris where she becomes a model in order to help pay the rent. Her beautiful face quickly carries her to the top, but her unexpected career also carries her far from her family, home, and values. It's glamorous and fun, but is it her? In Salaam, Paris, like in any good fairy tale, Tanaya must find her own happy ending. Reading this book is a lot like eating meringue: it's light and it tastes good, but it's not exactly filling. But if you like sugar...this book will satisfy your sweet tooth. I thought it was worth the 25 cents I paid for it at that library sale last year, and Kavita Daswani is an author I'd try again...but this is not a book I'll be hanging on to. Once is enough. Moral of the story? Eat dessert first. 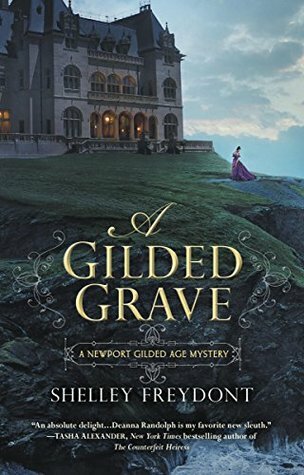 This mystery by Shelley Freydont takes place in 1895 among the extravagant mansions of Newport, Rhode Island's elite. It is Deanna Randolph's first summer season at Newport. She's excited to meet Lord David Manchester, the visiting Barbadian sugar magnate, and his beautiful sister, Madeline. But things get complicated when, at her very first ball, her friend's maid is found dead. At first it looks like the maid accidentally fell from the cliffs, but then the police conclude she was pushed. And Deanna is determined to help figure out who murdered the young maid and why. 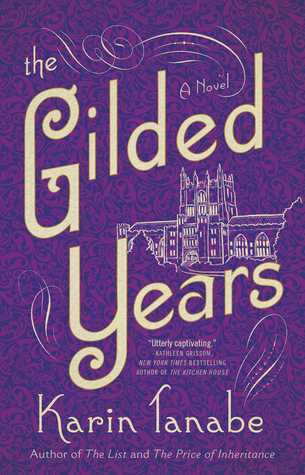 I love books set during the Gilded Age, and the Newport setting of this one makes A Gilded Grave even more fun. 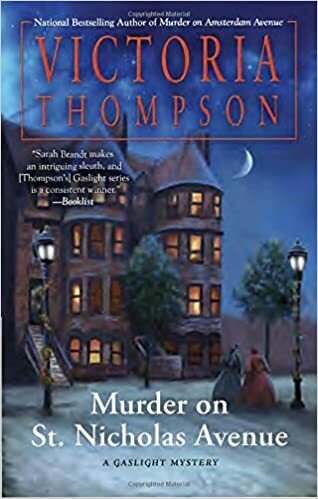 Then there's Deanna Randolph and her maid, Elspeth; this fearless duo love to read dime novel detective stories at night, but they soon discover that real sleuthing is a little more dangerous than they thought, especially when a second maid ends up dead. I liked them. I also liked that Deanna is a bit of a tom boy who chafe's under the constraints that Newport society places on her as a "proper" young lady. She's smart and funny and very determined. Then there's Joe Ballard. His father and Deanna's are in the sugar business together, and at one time everyone thought he and Deanna would get married. But they didn't. And Deanna isn't sure if they're even friends any more. Though they once were. Their relationship is my favorite part of this novel, though the mystery itself is nicely complicated with more than one twist and turn. Freydont's writing is not only enjoyable, but entertaining, too. If I rated stories with stars, I'd give this one four out of five. A bookish bonus: A Gilded Grave also fulfills the Rhode Island category for the 2016 Reading New England Challenge hosted by Lory of The Emerald City Book Review.